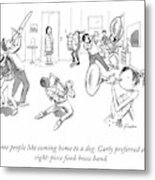 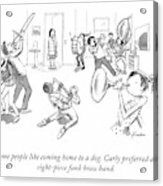 Description: Woman enters her apartment and a brass band starts playing. 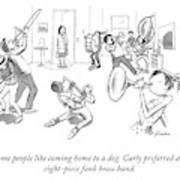 Caption: Some people like coming home to a dog. 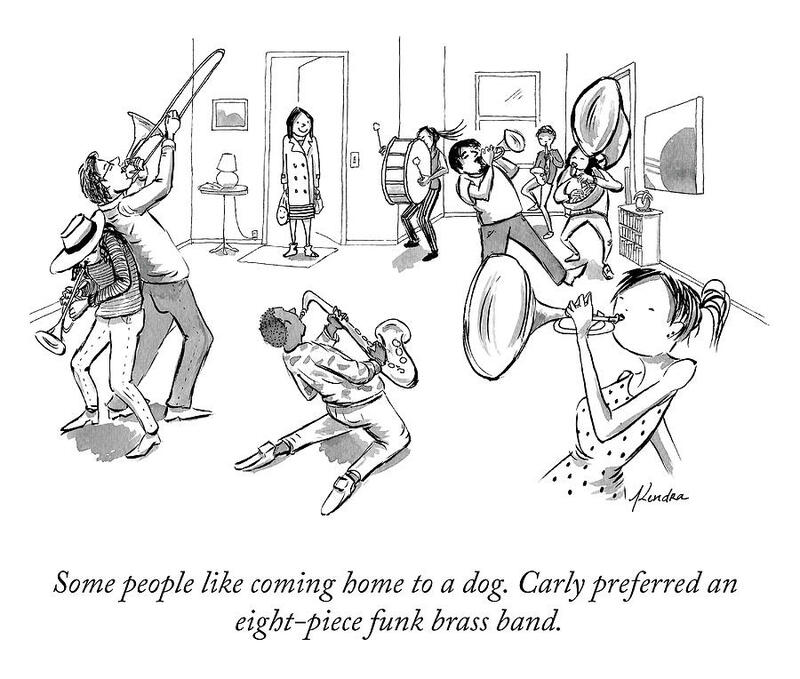 Carly preferred an eight-piece funk brass band.